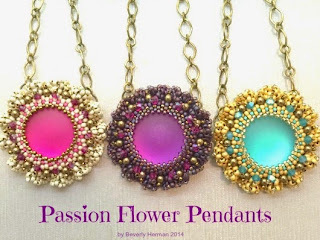 I recently listed the Passion Flower Pendant instructions in my shop. 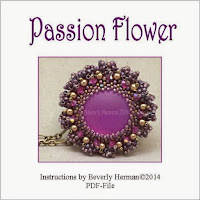 The color numbers for the seed beads and amounts used for the Purple Passion Flower are listed in the supply list. Each bead store has their own unique numbering system. I have listed the color names for the seed beads used for the Raspberry and Spearmint Lunasoft cabochons. In honor of Mother's Day I want to make someone's day special.by gifting a set of Passion Flower instructions. You don't have to be a Mom to enter. How to enter: Leave a comment on this blog about your favorite color. 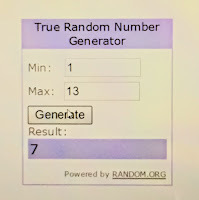 I will use the number generator www.random.org to pick the winner. 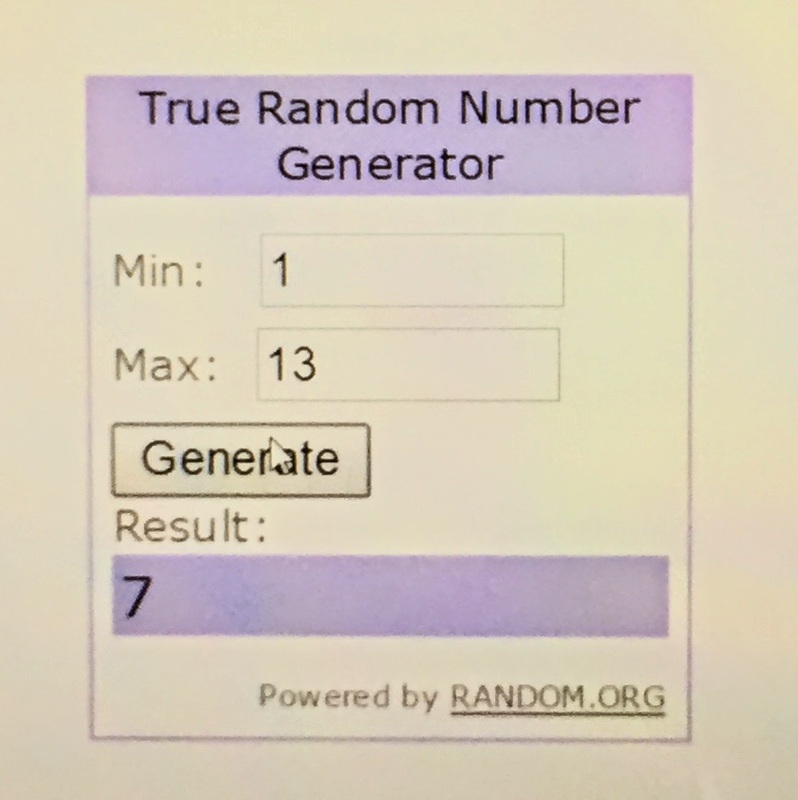 I used the number generator www.random.org to pick the winner. Congratulations Number 7 you are the winner pamelaric! My favorite color is the passionate purple it is very captivating and calls my attention. I wear a lot of purple in my clothing and jewelry, I find purple a passion color. These are lovely, I think my favorite is the spearmint. I love lunasoft cabs! Thank you for the chance to win and have a wonderful Mother's Day! 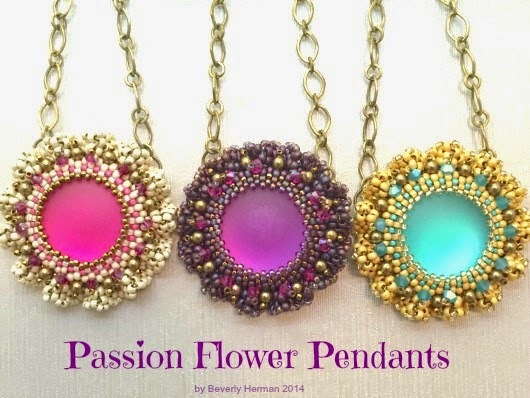 Hi Bev., My favorite color is green so among your beautiful pendants I think I would like to do the Spearmint. It would certainly brighten my day. Have a very blessed Mother's day. I love the spearmint cab. I love them all, but have not worked with the spearmint color so that would be a fun project for me!! I love the spearmint but I think that raspberry would look lovely for this pattern. It's wonderful to see you posting again. I'm a spearmint person all the way. Hope you have a happy mother's day too. Happy Mothers Day to everyone!! The Spearmint seems bright and warms the heart like only a mother can. Such a beautiful design which is a wonderful tribute to our mothers. The raspberry seems to be my favorite color. Happy Mother's Day! I may have missed the drawing but just in case - turquoise is my fav! Bead on! It was really hard not to leave a response after each of your comments. Use code PASSION for $2.00 off your next purchase of $10.00 or more.